While I've been terrible about the blog, I'm actually quite happy with my progress on quilting. I was spending so much time focusing on the down parts of my quilting roller coaster that I'd all but discounted the ups and the soaring ride in general. First, a big THANK YOU! and I LOVE YOU! to my hubby. He surprised me with exactly what I wanted on Christmas morning. The Birds of a Feather weekend quilting retreat with Virginia Longarm Network at the beautiful Founders Inn & Spa in Virginia Beach, VA. It's exactly what I wanted & needed to keep my quilty juices flowing. Let me know if you're going to be there. I just finished putting the binding on my fall quilt. I'll be stitching the back down this evening. I haven't named it yet so I don't have the label. I'd planned on a bottom left corner placement, so I'd better get thinking. Pouring rain outside, so kitchen pic it is! I'm determined to get back to my old normal posting schedule. Here's what I have planned for the coming week. Motif Monday: I've got a nice block motif to share tomorrow. You can see a sneak peek of it above. 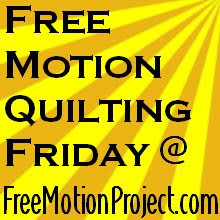 Technique Tuesday: I'm going to share my favorite free motion quilting tips and what I've completed this year. Wednesday: Happy New Year! I'll share my goals for 2014. 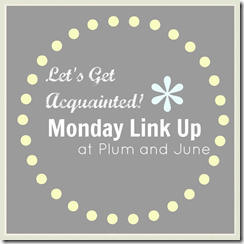 Thoroughly Modern Thursday: I have a pattern for a quick win modern quilt I designed. Free Form Friday: I have time to decide on this one! As I sit here writing this post, I realize that I've really missed writing about my quilt journey. There's something therapeutic about sharing my quilting hopes, successes & failures. Don't forget to appreciate and reflect on all parts of your roller coaster!! !